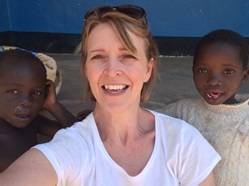 Thanks in part to the Fundraising at Petersfield in the Summer term 2017, Karen was able to purchase equipment for her 'life changing' Malawi visit during the summer holidays. In 2018, we raised £102.84 to continue this work. Having travelled the 12 hour flight over night to Johannesburg in South Africa we then took another flight to Lilongwe in Malawi. There we were met by our drivers ready for the 7 hour drive to Rhumpi the village in the North of Malawi that was to be our home for the next week. We arrived safe and sound if not a little exhausted 30 hours after leaving home. The next morning we were awoken at around 5.30am by a very loud cockerel heralding the dawning of a new day. By 6.30am it was already hot and dusty. We unpacked the equipment that you had kindly donated towards and met the visiting teachers to show them how to assemble and use it to deliver lessons. In the afternoon we took the kit and the teachers to the individual schools. We drove through villages with what can best be described at mud huts with holes for windows and palm or banana tree leaves for roofs. Goats, pigs, cows and children some as young as 18 months old mixed freely and roamed free range along the sides of the roads. People on bikes sometimes as many as 5 people on one bike or men with 4 metre long tree trunks strapped to them riding along the road oblivious to any cycle or road safety it was definitely a free for all. Locals selling their produce at the side of the road mostly tomatoes, cabbage and pawpaw, laid out on the dirt floor. Woman with babies strapped to their backs and huge containers of water on their heads miles from anywhere, happily waved as we drove along. The schools were up in the mountains so we had to leave what I have loosely referred to as roads to edge slowly up the dirt tracks which resembled dried river beds with huge cracks, bumps, and vertical drops. I will never complain about the pot holes on our British roads again having got beached on one which was so deep and the width of the road making it unavoidable and stuck in another the length of the car. The next morning and the Cockerel alerts us that we should arise. 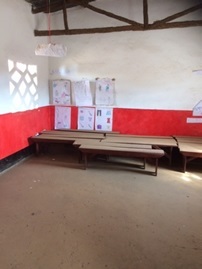 Once again we make our way to the village schools to watch the teachers set up the equipment in their own classrooms, ensuring they would be able to confidently use it when we were gone. We had been asked to watch the delivery of a lesson and give feedback. 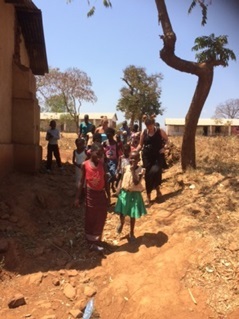 We were not sure if this would be possible as we had learnt that it was school summer holidays in Malawi and thought no children would be around. How wrong we were. The Head Teachers had sent out word that we were coming and asked for children to come along and come they did, by the dozen, many having walked two –three hours to get there. We met local tribal chiefs, church ministers, education inspectors, teachers and even members of the PTA who all welcomed us with open arms. I have never met such a friendly group of people anywhere. We had been told that many of the locals, in particular the children had never seen white people before and were a little shy to begin with but soon warmed to us.. We were taught a few local phrases and learnt a lot about local customs and ways of life. 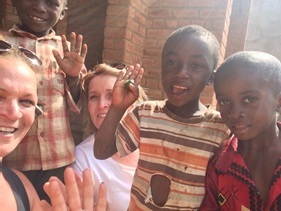 We played games with the children, they taught us some of their games and we taught them some of ours, 'Simple Simon' was greeted with much hilarity and raucous laughter. 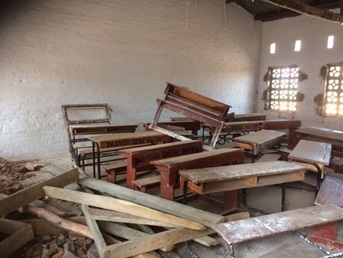 One of the primary schools we supported had 1134 pupils in 7 classrooms with 1 teacher per class, meaning there were 7 teachers for the whole school and that included the head and deputy head. 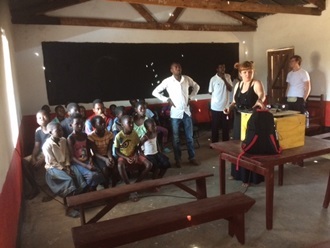 Some of the classes had 180 pupils. We were taught by some local trades people how to chop fire wood and plaster the walls of the schools. The village woman made us food and gifts of bags of popcorn as their main crop is maize and ground nuts. We felt humbled that these people who have nothing would do that for us. In general the Women in these small rural locations do not work and the minimum wage is 75p a day. It is not unusual for parents to have 7/8 children. This means a labourer earns 75p a day to feed his whole family, therefore most people grow their own produce in huge fields to help feed themselves this is done by hand as there is no farm machinery. This was my first experience of doing anything like this and we met some amazing people who told us we had changed their lives and the educational opportunities for their children. I certainly know they have changed my life, I plan to go again maybe when I go again next year we will find a group of children playing 'Simple Simon' and we'll be able to donate more equipment and change more lives. To view my photographs you can find me on Instagram – karen.grieves. 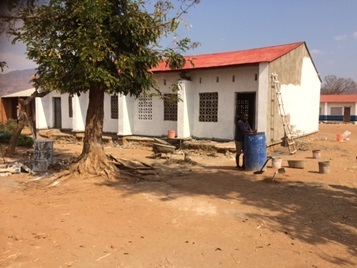 For further information please feel free to email me at karen.grieves@sky.com or for latest updates about the work that is being done check out http://www.bwenguprojects.co.uk/.